This heart-racing rope workout is guaranteed to get your heart pumping and your muscles burning. These exercises can be used as a dynamic warm up to get the blood flowing or as a great way to end your workout to get those few extra sets in. 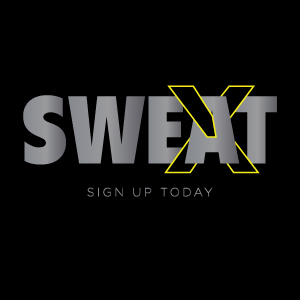 Below are demo videos of every workout, designed for you by Danny* and demoed by Denise from from SWEAT Conshohocken. As always, if you have any questions, please ask the Front Desk! Beginner – No BOSU, Keep both feet on the ground. No variation – Focus on engaging your core and keeping your arms straight. * Danny Ernst is a trainer at the Conshohocken SWEAT. 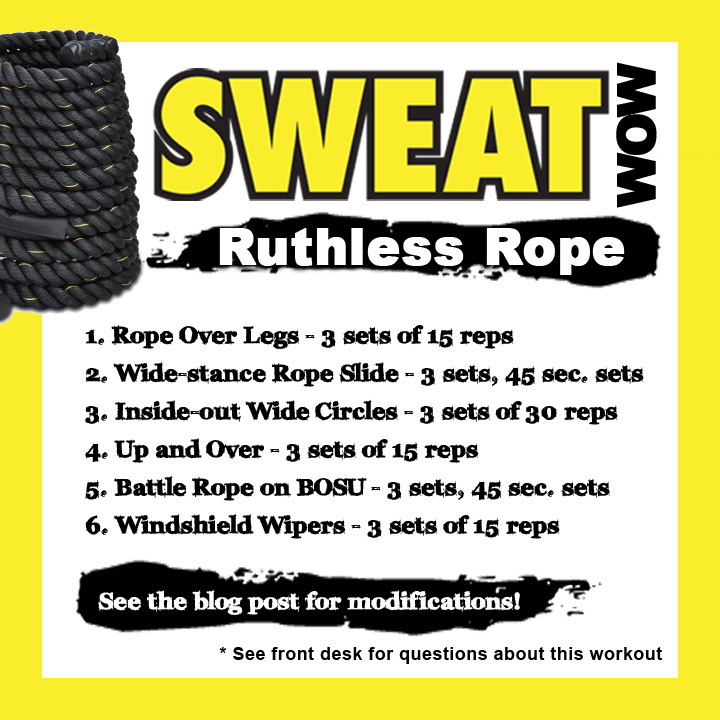 He uses the rope as one tool to help create a great total body workout for his clients. There are many different exercises you can use with the rope to target different muscle groups. He also uses the ropes in his Super Circuit Class on Friday’s at 12:15 and will be using it for his Trekking Intervals Class starting Tuesday Mornings at 6am on February 4th.